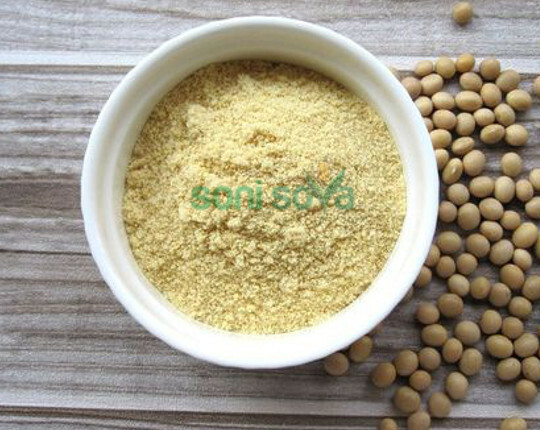 This is obtained from Soya Bean seeds by the process of cleaning, cracking, soy cotyledon, full fat flakes, solvent extraction, solvent removal, defatted flakes and finally grinding takes place which forms Soy flour to requisite particle size to get a fine powder with creamy color.Non GMO De-fatted Soy Flour Un-toasted is a high protein and low fat product. Soya Flour is known for its great nutritional values. It contains high protein & is usually mixed with whole grains flours in many recipes it is also used in home cooking for a delicious to get soya in diet. Soy flour is extremely rich in high quality protein and is an excellent source of Fatty acids, magnesium, fiber, folic acid, iron, calcium, lecithin, thiamin, riboflavin & protein. Inclusion of isoflavones reduces the risk of certain cancers, improves bone health, It also helps in lowering cholesterol level and heart diseases.